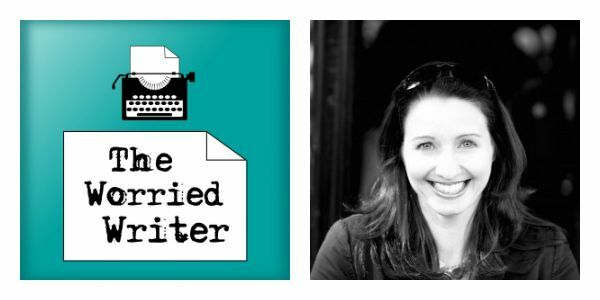 This episode features Joanna Penn, a New York Times and USA Today bestselling author writing heart-pounding thrillers under the name J.F. Penn, as well as non-fiction books for authors. Joanna is a superstar in the world of indie-publishing and I was so delighted to get to speak to her. Even if you’re traditionally published (or aiming for it) and have no intention of self-publishing, I believe you’ll get lots out of this interview as Joanna has excellent advice on productivity, creativity, and conquering self-doubt. She’s an absolute inspiration (and part of the reason I started The Worried Writer) and I love her can-do attitude, positivity and work ethic. Joanna’s most recent non-fiction book How To Make A Living With Your Writing is currently free in ebook form. Quick! Head to Amazon, Kobo or iBooks to get it before the promotion ends! Once you’ve listened to the podcast(! ), do check out Joanna’s site www.thecreativepenn.com as it is stuffed with valuable information and free resources. Also, for more on Joanna’s excellent thrillers (the ARKANE adventure series and the London Psychic trilogy) head to JFPenn.com. You can even pick up one of her thrillers, Day of the Vikings for free. Joanna has so many good things to say about success and getting the work done. I reveal the (new!) title of my next book – In The Light of What We See. Available for pre-order now! Thanks so much for the question and for your kind words about the podcast, J Long! If you have a writing (or publishing) question that you’d like me to tackle in a future episode, please get in touch via email or Twitter. I’ll answer it on the show and credit you (unless, of course, you ask to remain anonymous). Please spread the word and, if you can spare the time, leave a rating for the show on iTunes. I truly appreciate your support. Thanks so much for those kind words, Ruth! I really appreciate your support! Do let me know if there is anything you would like to hear in a future episode. Really enjoyed your interview with Joanna Penn. She makes it all sound achievable, and has made me think I need to get a long term plan in place. Keep them coming Sarah, your podcasts really help me to know I’m not the only one wading through treacle! I see interesting articles here. Your website can go viral easily, you need some initial traffic only. You should read about bucksflooder , this might interest you. I’m over 2 years late to the party, but this was wonderful to listen to! Ironically I have just written down “Plato’s chariot” in my ideas file …. Be a good book title in my Dusty Miller series (which are two word titles) – admittedly I’ve already got titles for the next two Cold Fury, and Midnight Rising, so it might be a way off.